Until now, Xiaomi has not made clear about the fate of Mi A2, which will replace the Xiaomi Mi A1 and offer a stock Android. According to rumors, the novelty should become the twin brother of Xiaomi Mi 6X, if at all it is destined to come out. There are those who doubt its appearance in the market, the company is focused on the development and launch of other devices with an intact operating system from Google. 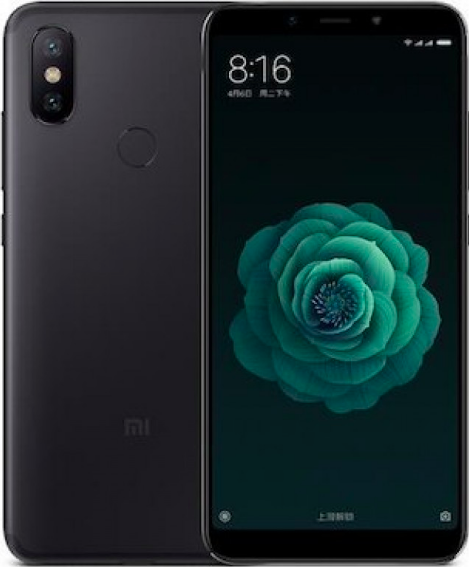 Perhaps the Swiss online store digitec.ch knows more about whether Xiaomi Mi A2 is destined to appear on the market. Online retailer has published details about this smartphone. Predictably, the characteristics of the novelty are identical to those offered by the Xiaomi Mi 6X and the only difference is that Mi A2 is built on the basis of Android On. The phone offers a 5.99-inch screen resolution of FullHD +, a metal case and a dual camera of 12 Mp + 20 Mp. Processor Snapdragon 660, 4/6 GB of RAM, flash drive for 32/64/128 GB and a battery capacity of 3010 mAh. The novelty will be available in three colors: black, blue and gold. According to the retailer, Xiaomi Mi A2 with 32 GB of permanent memory will cost 290 Swiss francs ($ 290), twice the amount of flash memory will be asked for $ 330 and buying the top version with 128 GB will cost $ 370. It is indicated that smartphone sales will start on August 8.